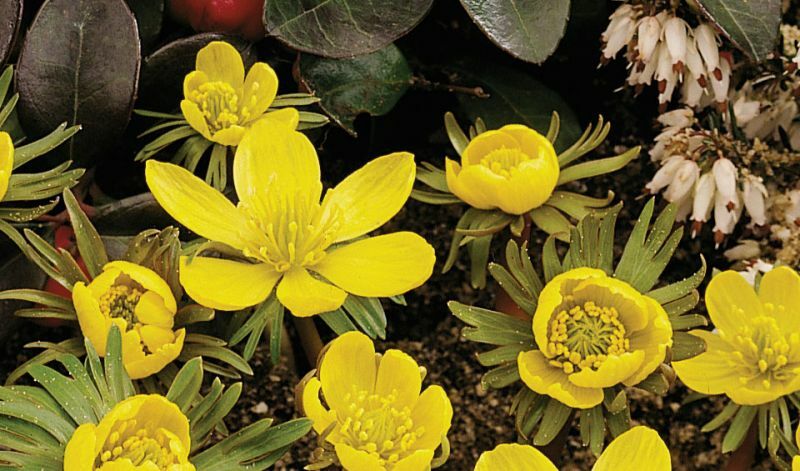 A buttercup relative; the eventually green leaves are frilly and emerge in a bronze color. In borders, rock gardens and under trees and shrubs. Let the foliage die back to replenish the bulb. This will happen very quickly and before the rest of your garden is growing actively. They will self-seed readily and naturalize easily and prefer to be left undisturbed once established. If the clumps become overcrowded or you wish to move some bulbs, do so in the late Spring, just as the leaves finish dying down. They prefer not to be fertilized provided the soil is humus rich and moist. Native to southern Europe and east across Asia to Japan.